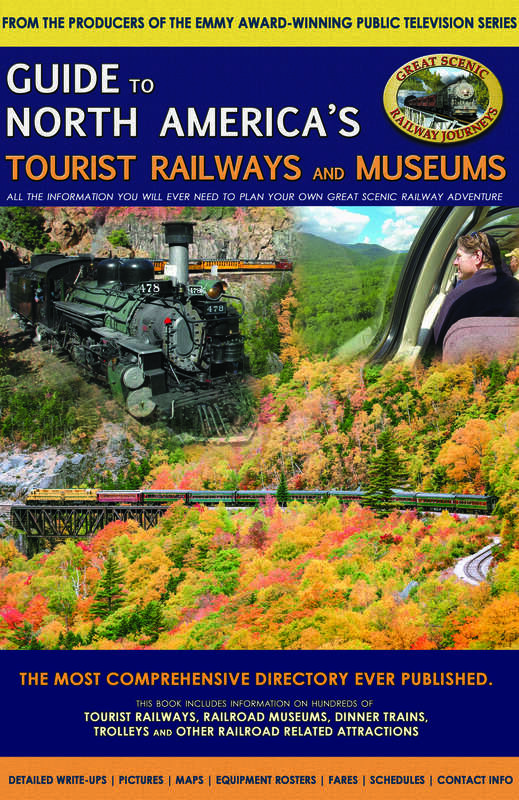 Fifth Edition: Whether you are looking for a fun and exciting vacation by rail or are a die-hard rail enthusiast, with over 500 tourist railways, railroad museums, and other railroad related attractions across the United States and Canada, this guidebook has an adventure for everyone. This third edition of our companion book has been updated along with adding many new locations. The book has easy browsing, the book is divided alphabetically by state starting with Alabama and ending with the Canadian provinces. Each state or province's opening page has a map detailing the location of each railway/museum within the state. Every railway/museum page includes photographs, a brief history, excursions, schedules and fares, equipment/rolling stock, and detailed contact information. There are icons letting you know about parking, handicap accessibility, gift shops, snacks, tours and accepted credit cards. With detailed information for each location, you can find the best site for your next vacation or day trip. Every railway featured in a Great Scenic Railway Journeys show is identified by our logo. This guidebook helps you identify the location of the excursions that you have seen on television, plus discover new railways, museums, and other railroad related locations across North America.